The Trump for President campaign ended 2018 with $10 million cash-on-hand. Thanks to a VERY successful first quarter of fundraising, that number has been quadrupled. 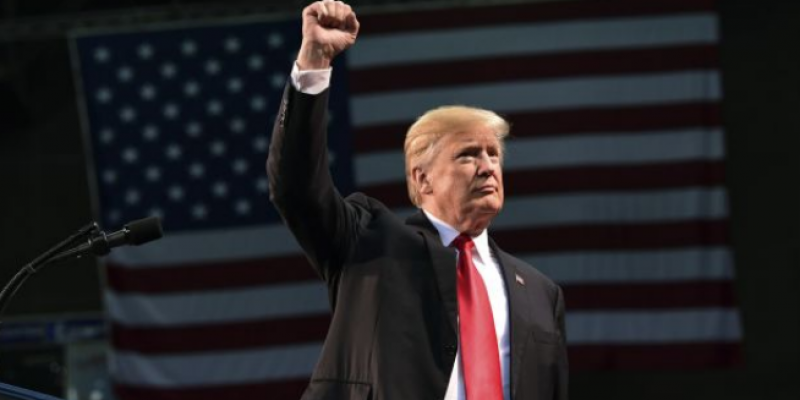 Thirty million dollars, that’s how much the Trump campaign announced late Sunday that was raised over the first ninety days of 2019. One reason that is impressive? President Obama had just $2 million in the bank at this point in his Presidency. Another reason that is impressive? It’s the amount raised by the top two Democrats COMBINED. Presidential candidates Bernie Sanders (D-VT) and Kamala Harris (D-CA) raised $18.2 million and $12 million, respectively. According to the Trump campaign, nearly 99% of the donations made were of $200 or less with the average donation being less than $35. With $40 million cash-on-hand, President Trump can continue to build his war chest while his opponents are forced to spend nearly all of their first-quarter earnings on winning an increasingly difficult fight for the Democrat Party’s nomination. Despite the vast field of nearly twenty candidates, a plurality of Democratic voters appear to prefer that former Vice President Joe Biden (D-DE) step into the race which means that there is much more to be done, and much more money to be spent. Rounding out the top five fundraisers on the “blue” side are Congressman Robert “Beto” O’Rourke (D-TX) with $9.4 million, Peter Buttigieg (D-IN) with $7 million, and Senator Amy Klobuchar (D-MN) with $5.2 million. The only announced candidate on the Republican side is former Massachusetts Governor Bill Weld who ran for Vice President on the Libertarian ticket in 2016 which was headlined by former New Mexico Governor Gary Johnson. In addition to the $40 million maintained by the Trump campaign, the President’s re-election effort will be fully supported by the Republican National Committee. The RNC reportedly raised an additional $45 million in the first quarter of 2019. If this first quarter fundraising report is anything indicative of the 2020 Presidential Election, Democrats better buckle-up because they are in for a rough ride. Next Article Louisiana has 9th highest federal tax refund in U.S.